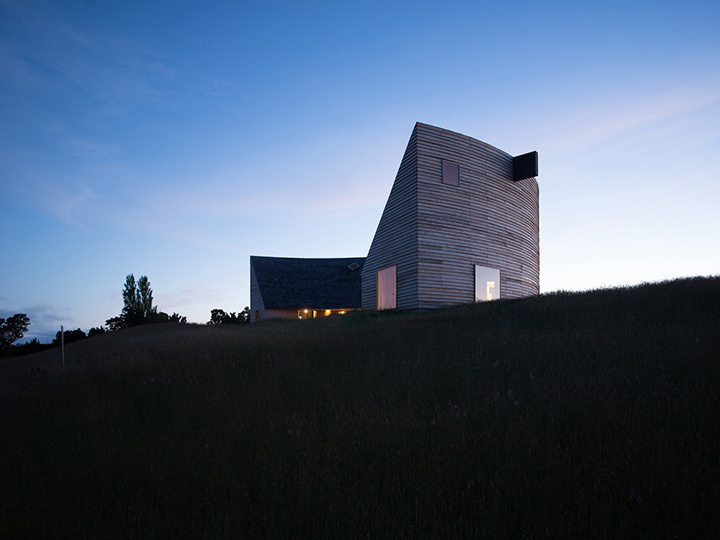 The Rode House's architecture is one of the eye-catching structure in recent time. 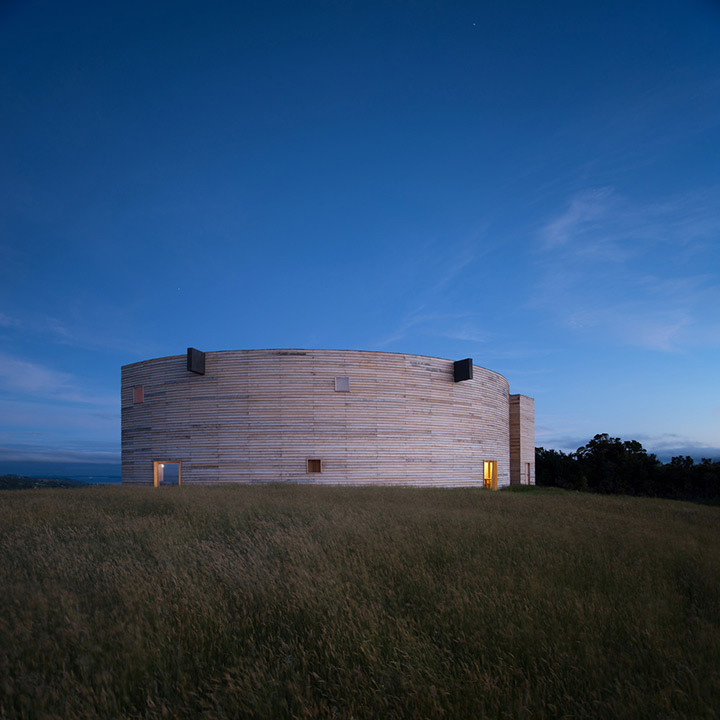 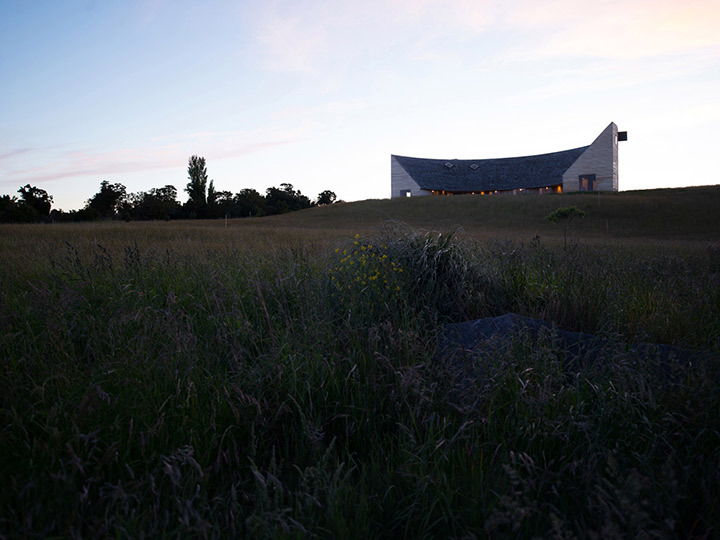 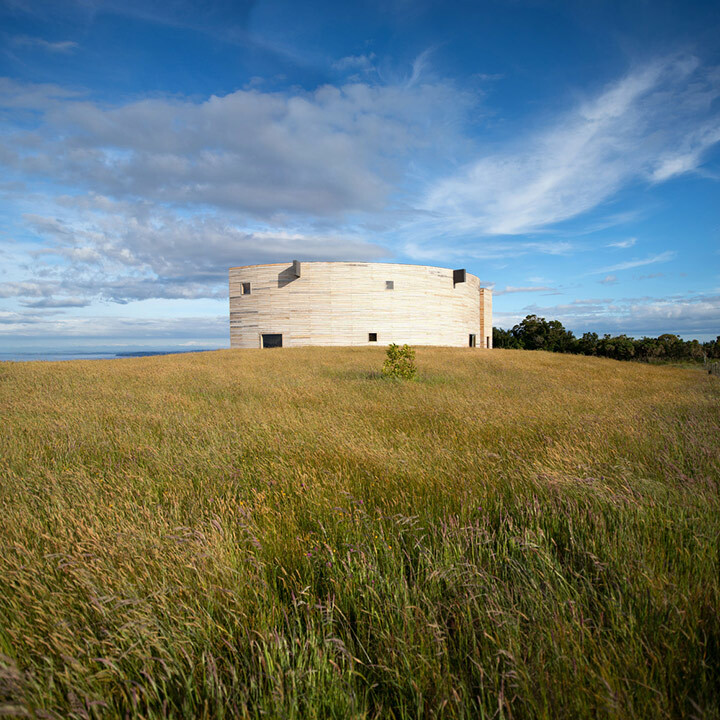 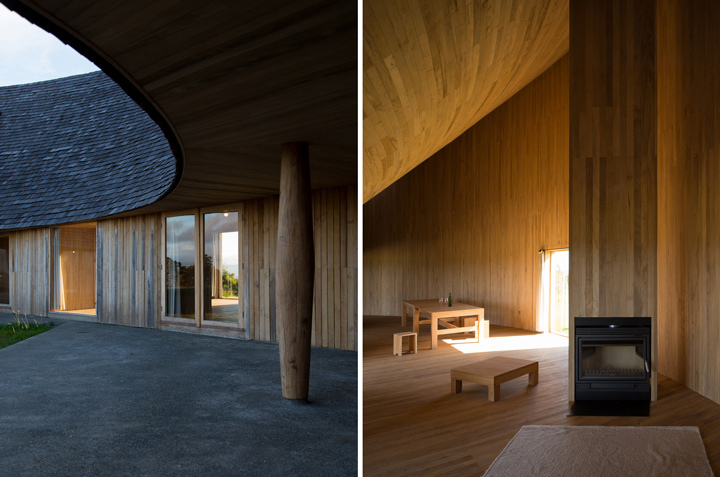 Designed by Pezo von Ellrichshausen features a semi-circular and half conical house that lies on the hilltop of the Chiloe Island. 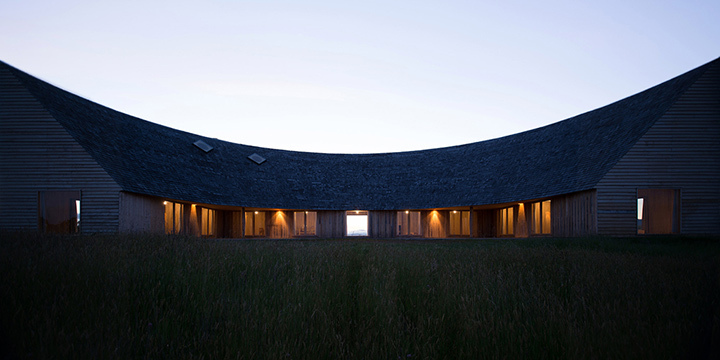 The structure is defined by the polar array of forty-five rigid frames. 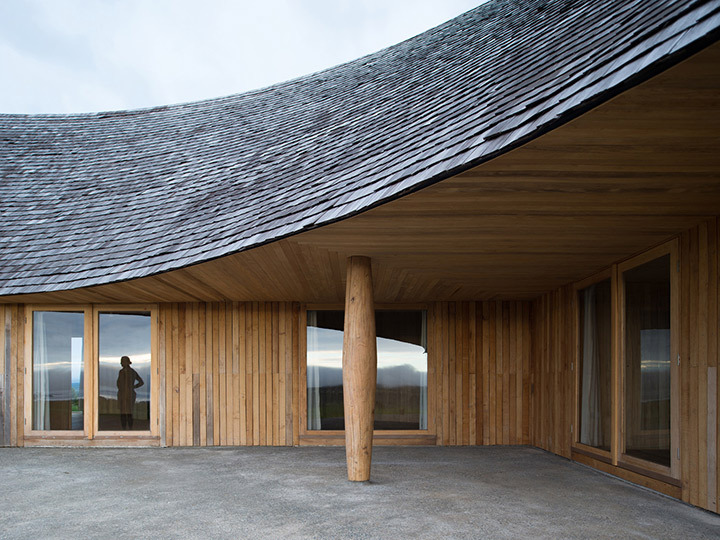 While walls and ceilings are clad with boards, a traditional thin wooden shingle covers the conical roof. 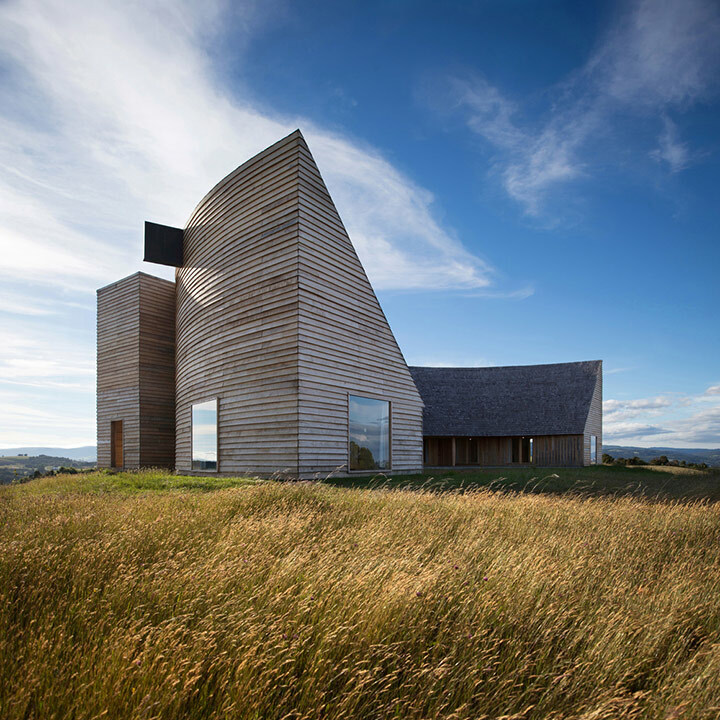 The architects describe it as both a half and a double house. 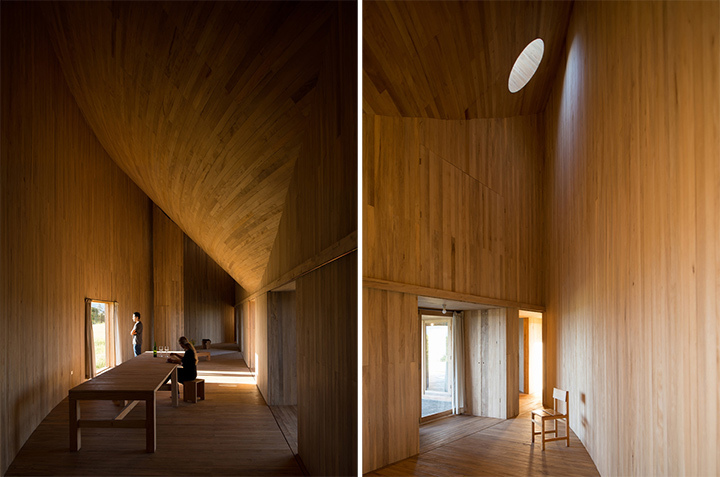 The design pays tribute to the traditional carpentry of that region and its constructive solutions.